I was very touched by the first bride I met at my pop-up bridal salon in Savannah. 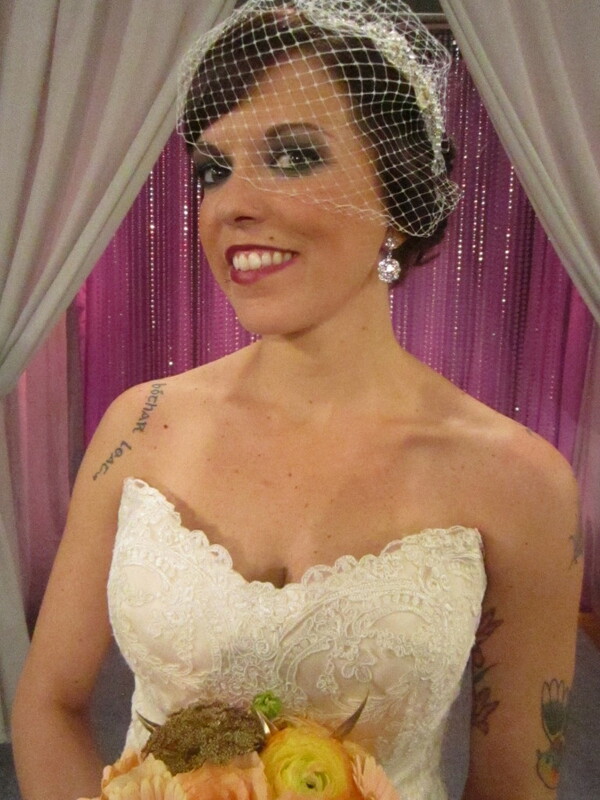 To me, Brandi was a courageous woman, planning her wedding by herself, and a single mom raising her daughter alone. Her fiancé was in the military stationed in Afghanistan, and also a single father. Also, tugging at her emotions that day was the fact that her mother was fighting pancreatic cancer and couldn’t be there to dress shop with Brandi, nor was it even certain her mother would make it to the wedding. 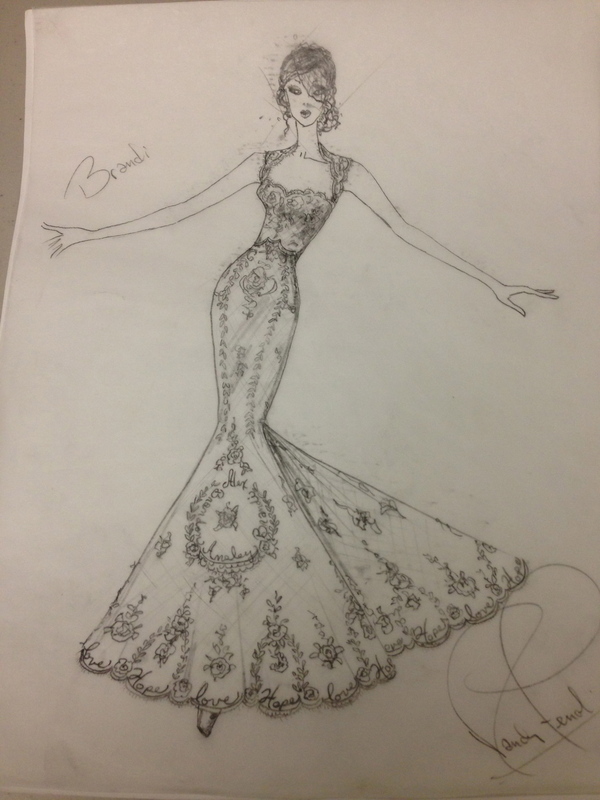 Brandi wanted a Gatsby-inspired all lace gown, specifically with a keyhole back. Neither of which were easy to find within a $2000 budget. 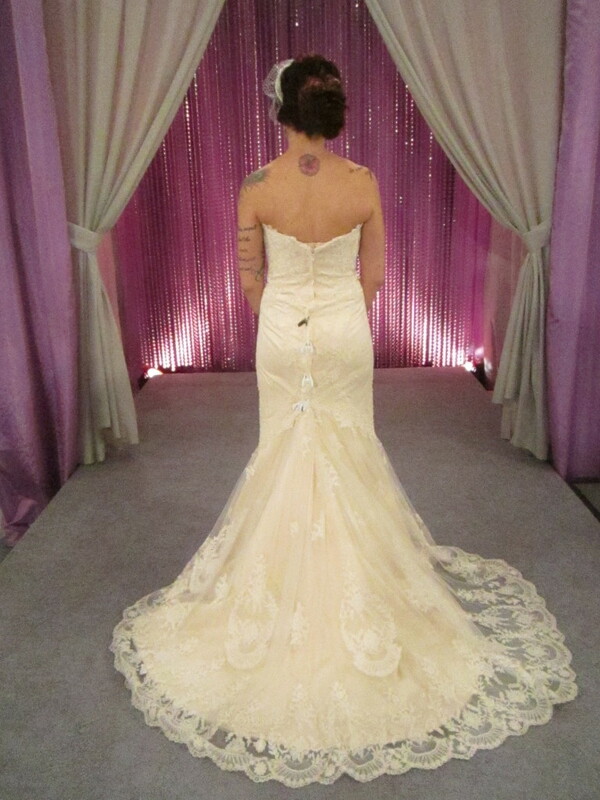 As we began trying dresses, it was apparent that Brandi did not like the few gowns that I had with keyhole backs. Taking a risk, I put Brandi in a vintage-inspired all-lace strapless gown by James Clifford that she loved and said, “yes” to, despite the dress not having her much-desired keyhole back. 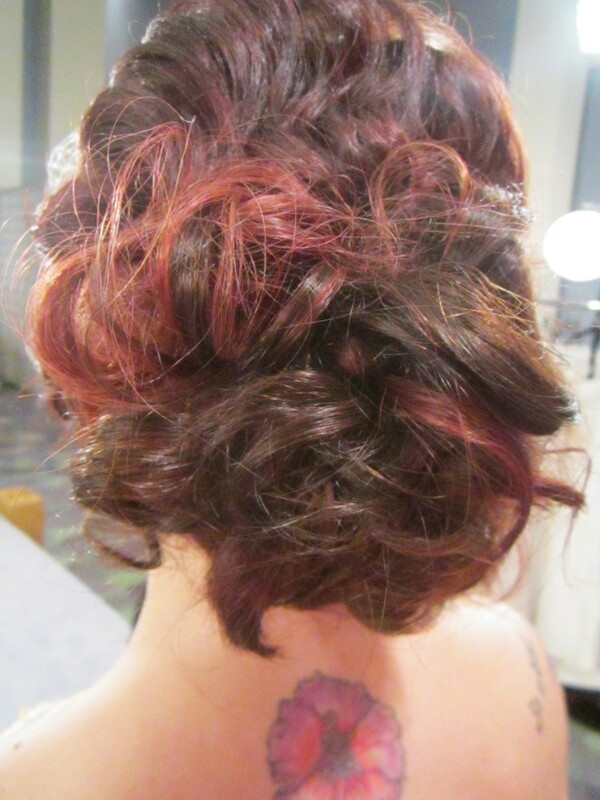 For her “head to hem” makeover, Raychel and Lindsey kept with the wedding theme with Lindsey creating finger waves that were so popular during the era, and Raychel taking her cue from the smoky nightclub performers of the roaring 20’s. For me Brandi’s makeover was still not complete without her keyhole back, so I secretly created a custom, detachable, lace yoke with a keyhole back to surprise her. On the aisle of style, through tears, Brandi said, “even if her mother wasn’t able to make it to her wedding day, she will at least have known how beautiful her daughter was”. Unfortunately, her mother didn’t live to see her walk down the aisle. 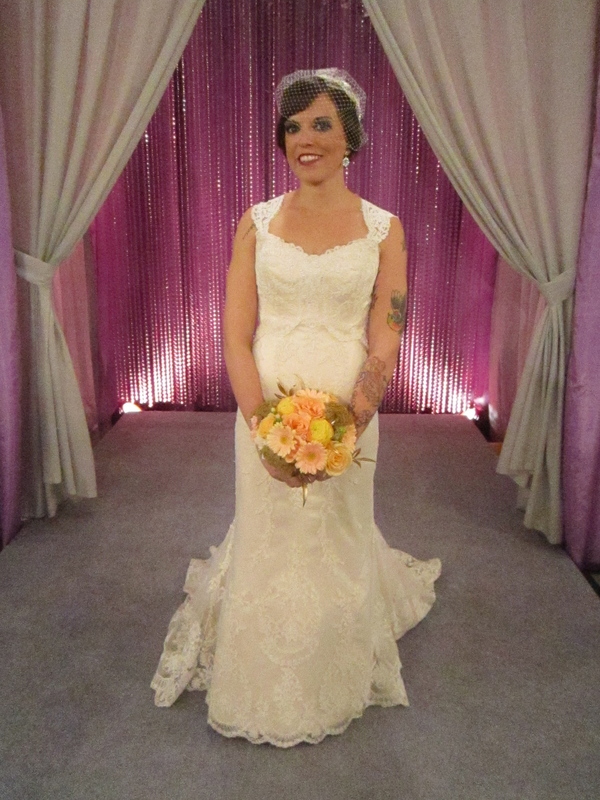 Beautiful lace overlay train on Brandi’s Jim Hjelm gown, shown without custom lace yoke. 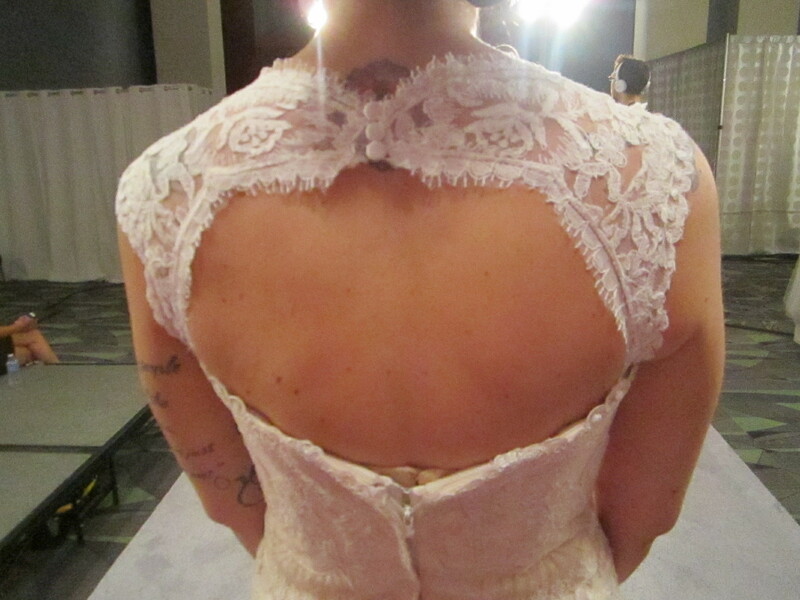 The custom designed lace yoke with keyhole back I created. Makeup inspired by the jazzy nightclubs of the 1920’s. 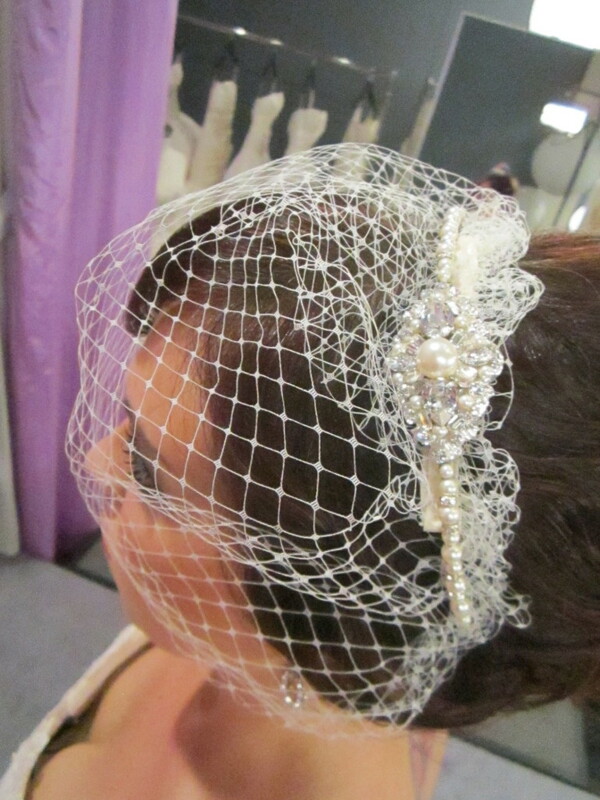 This cage veil from Toni Federici combined with a sparkling headpiece from Cheryl King Couture help to complete this Gatsby inspired look. Earrings (Rio) by Thomas Knoell for Watters. 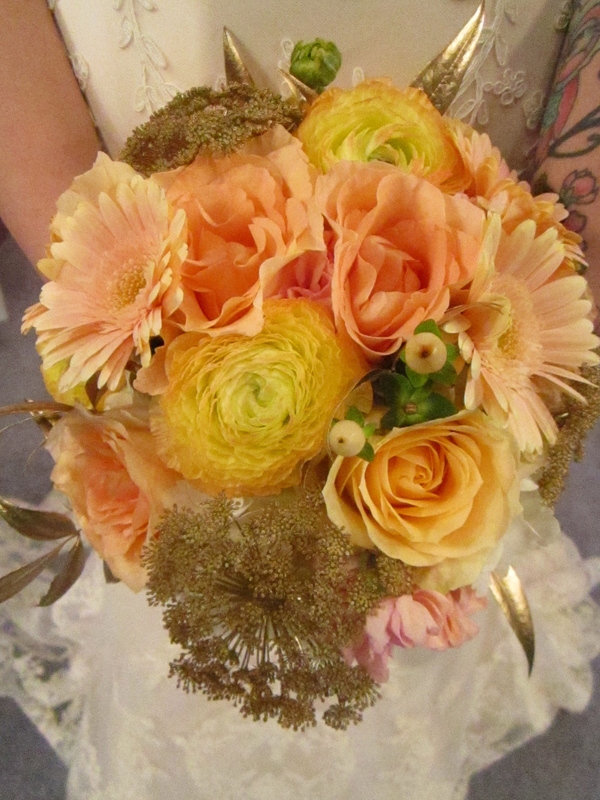 Brandi’s brightly colored bouquet of mixed flowers. The final sketch for Brandi’s bridal blueprint. You can see more of the James Clifford bridal collections at: www.jamescliffordcollection.com. 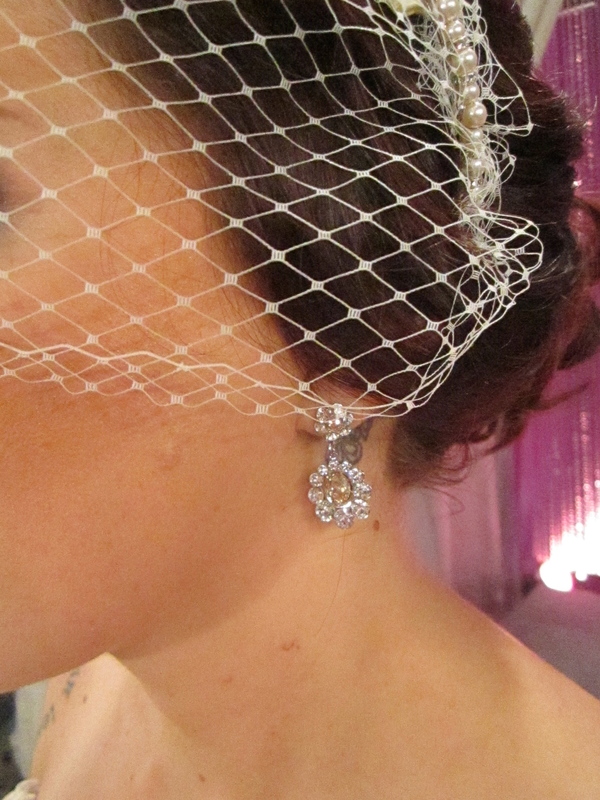 Toni Federici veils and accessories can be found by going to: www.headpieces.com. Go to www.cherylkingcouture.com to view more jewelry from Cheryl King. More Thomas Knoell for Watters jewelry can be seen at: www.watters.com. For all things Randy, go to my website www.randyfenoli.com.